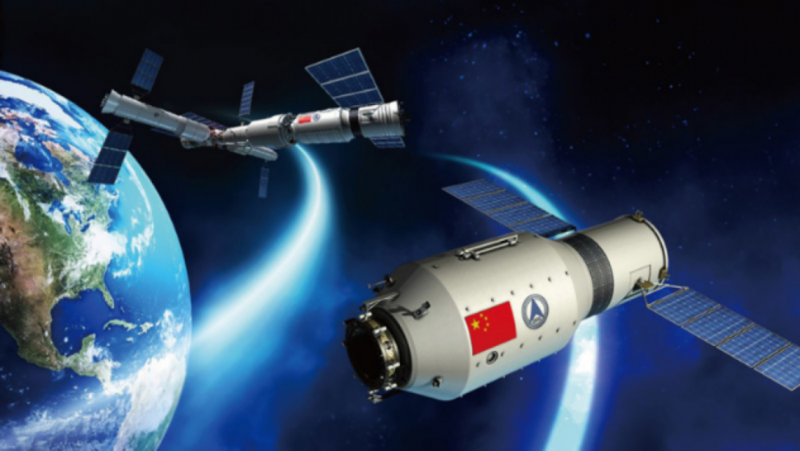 China’s space station Tiangong, or Heavenly Palace, is scheduled to launch in 2022. The facility, which is expected to adhere to similar standards as the International Space Station (ISS), will be open to foreign astronauts. Larger than the 140-ton Russian Mir space station, the Tiangong will consist of a core module and two laboratory cabins, large enough to accommodate three to six astronauts. Both the ISS and the Mir space stations have hosted international astronauts. “There are only a handful of countries capable of sending a space station up into orbit. It’s a massive program that demonstrates China’s comprehensive scientific and technological capabilities,” Zhang Baoxin, an aviation and military expert at China Aviation News, told the Global Times in May. “Tiangong will allow China to have a space lab to conduct successive scientific experiments,” Zhang said. The space station will also be equipped with a synoptic survey telescope, which is supposed to have a resolution as high as the Hubble Space Telescope. Synoptic is used to describe observations that provide a broad view of a subject at a particular time. “The combination of the 500-meter Aperture Spherical Radio Telescope and orbital synoptic survey telescope will allow China’s aerospace development to advance by leaps and bounds… and China could even lead the field,” Zhang told the Global Times in May. Tiangong will also include two laboratory cabin modules with pressurized environments to conduct free-fall and microgravity experiments. Last month, Beijing-based space launch company LandSpace revealed that its Suzaku No. 2, the largest privately owned rocket developed in the country so far, will be launched in 2020. The company, which is also known as Beijing Blue Arrow Space Technology, is planning on completing ground tests for the medium-sized liquid oxygen methane rocket in 2019. First flights are expected to take place in 2020, Asia Times reported last month.